In a bid to eat healthier, I am sussing out salad bars worth visiting so that on days when I'm feeling sluggish, I can go and get my fill of greens for a pick-me-up! I've always walked by Toss and Turn, located in the basement of Ion Orchard but I've never tried it before. Having indulged in a lot of junk food recently, I felt it would be a good time to try out this popular salad place and see if it lives up to its name. 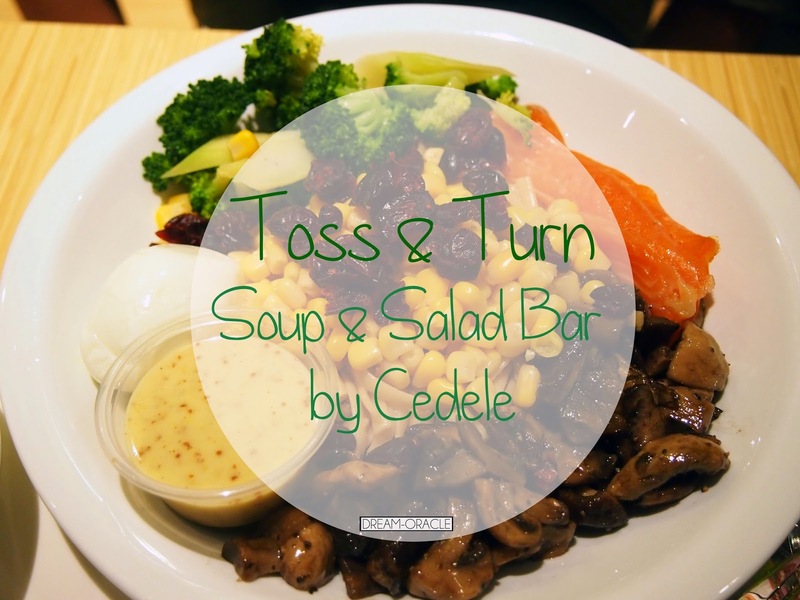 At Toss and Turn, you can order a pre-custom salad or you can customize your own! Nothing sells more than DIY. My dining partner decided to DIY her salad and add on a soup. 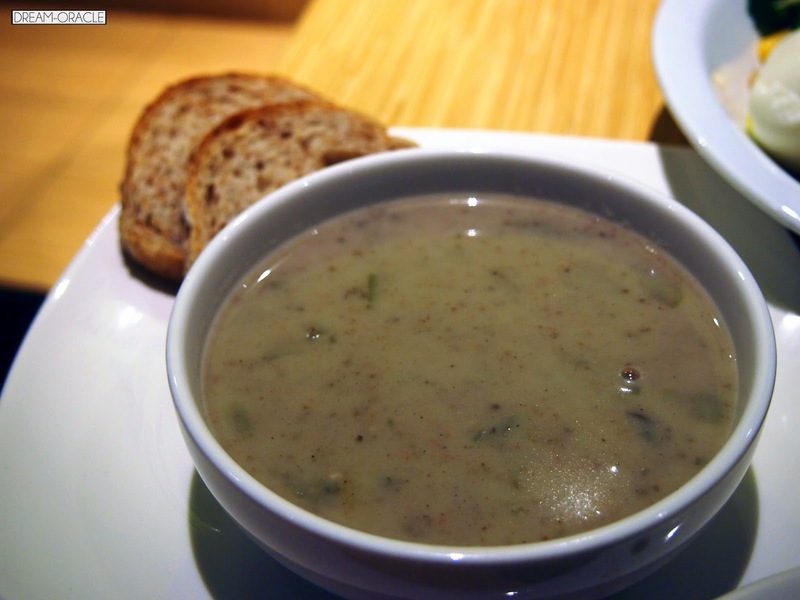 Clam Chowder was pretty decent, rather flavourful with chunks of potato cubes swimming inside. 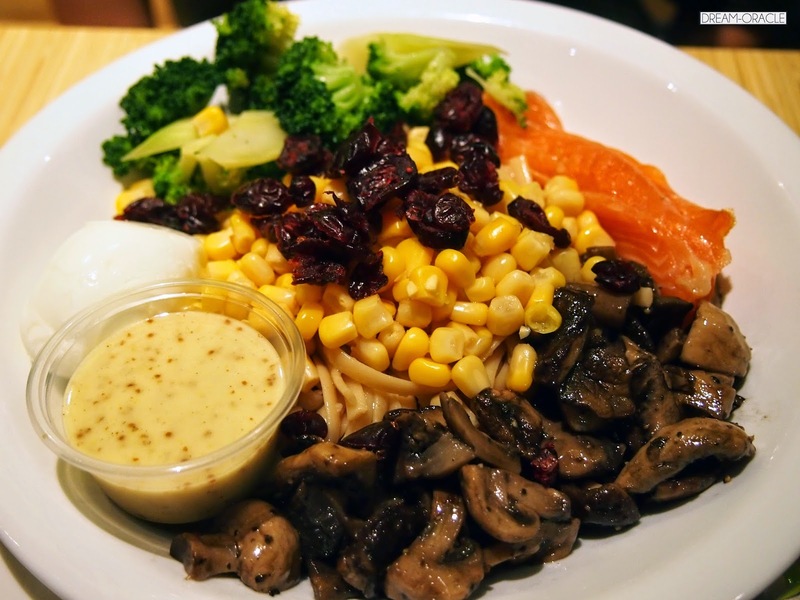 She picked noodles, sauteed mushrooms, sweet corn, smoked salmon, broccoli, dried cranberries and honey mustard dressing. I love the generous portions of mushrooms! I chose their pre-custom salad - Teriyaki Chicken Tofu Noodle Salad. 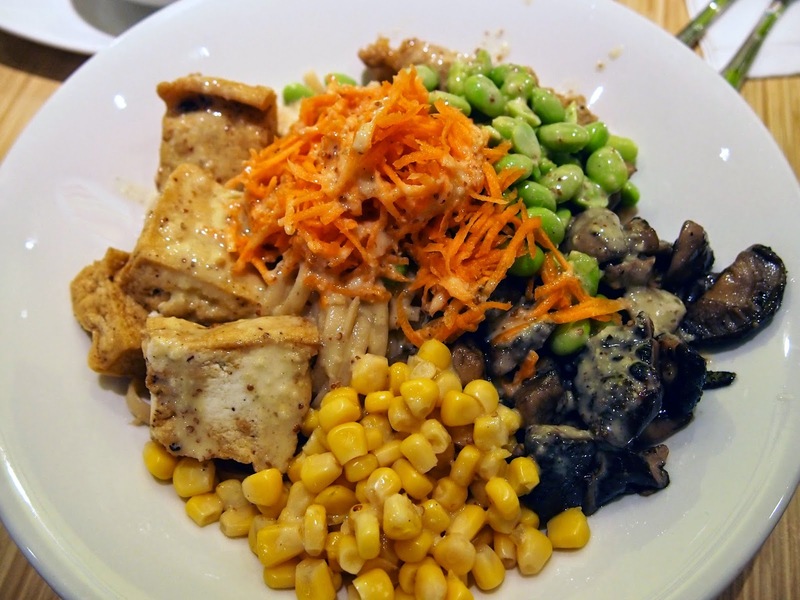 It consisted of noodles, teriyaki chicken, tofu, edamame beans, mushrooms, sweetcorn and carrot topped with honey mustard dressing. I quite like this dish, the flavour is light and refreshing, but the portion is impossible to finish. Impossible. Probably not because I think Toss & Turn has made a fatal error by not ensuring they provide the freshest leafy greens, more so when they are a SALAD BAR. The mixed greens looked pretty flat to me, and my friend pointed out that their broccoli weren't fresh as well. Nah uh.. mistake.